This led us on a sourcing mission, but all the soaps we could find were bottled in some form of single use plastic, and given how little plastic is actually recycled, we decided to make our own plastic free version. Our Dish soap offers a powerful clean for both your foodwraps and your dishes. 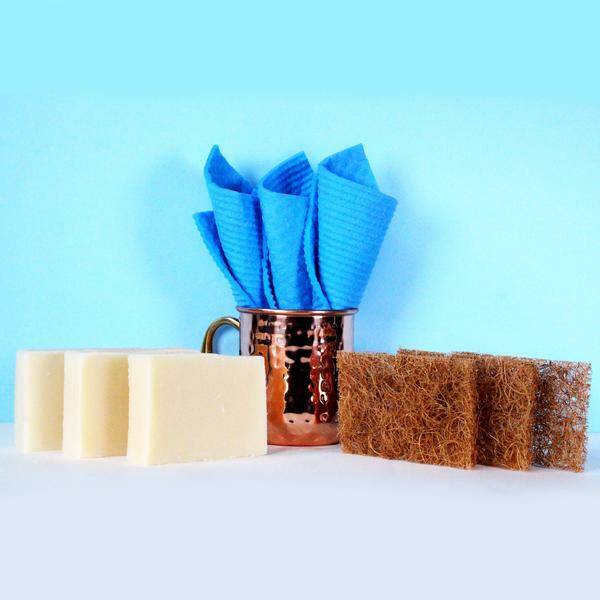 It's entirely plant based and surprisingly easy to use, simply wet your cloth or scrub, rub bar on said scrub and then apply the scrub directly to your wraps, bags, dishes or pots & pans. The soap is soft on your hands and has great mellow scent of coconut and essential oil of lemon. What's in the bar Soap? 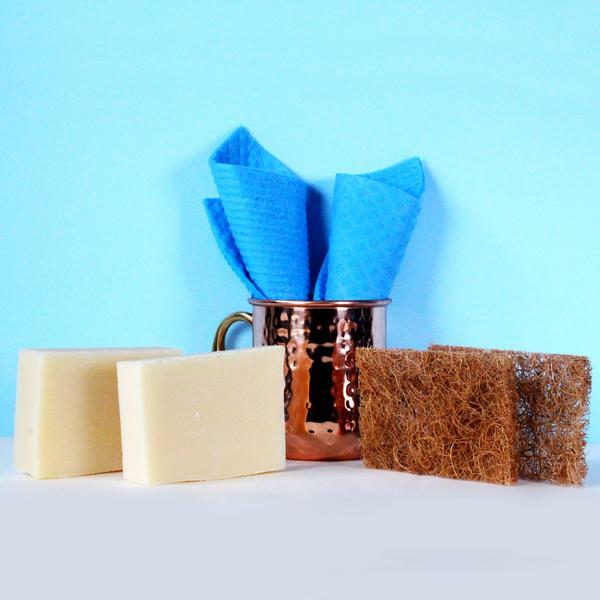 Our bar soap is entirely plant based including USDA Organic Coconut oil, USDA Organic Castor Oil, USDA Organic Coco Butter, USDA Organic Organic Cane Sugar & Lemon Essential Oil. 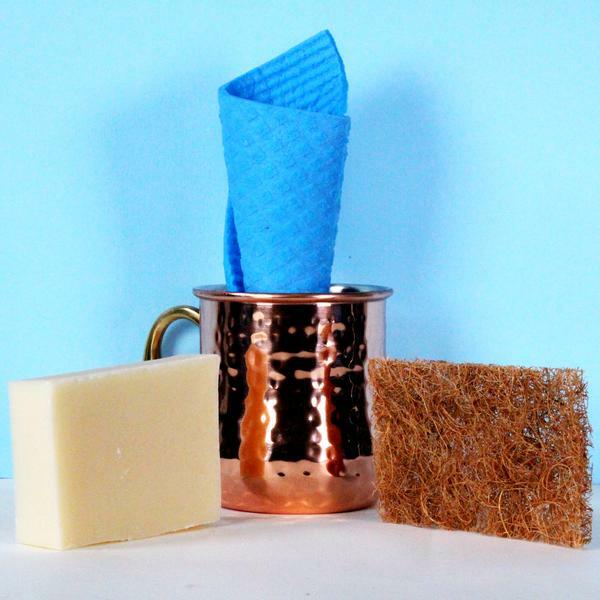 What's not in our Dish Bar Soap? Plastic of any kind. Fragrance, dye, synthetic foaming agents, unnatural preservatives, water softening agents, pH adjusters, phthalates, sodium lauryl sulfate, parabens, anything from formaldehyde. Made in Cornwall, Ontario Canada. Ingredients: USDA Organic Coconut oil, USDA Organic Castor Oil, USDA Organic Coco Butter, USDA Organic Organic Cane Sugar & Lemon Essential Oil. Plastic Free - easy to pronounce - Ingredients.